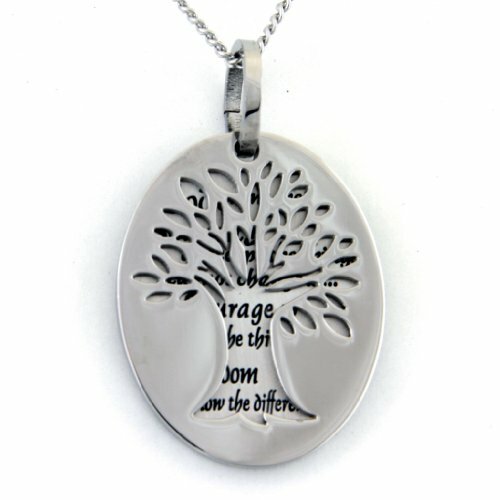 This inspirational pendant has "God grant me the Serenity to accept the things I cannot change...Courage to change the things I can, and the Wisdom to know the difference..." engraved on the back piece of a two piece oval pendant. The front piece has the "Tree of Life" cut out so that the serenity prayer peaks through. A great, meaningful gift for yourself or a loved one. If you have any questions about this product by Rush Industries, contact us by completing and submitting the form below. If you are looking for a specif part number, please include it with your message.